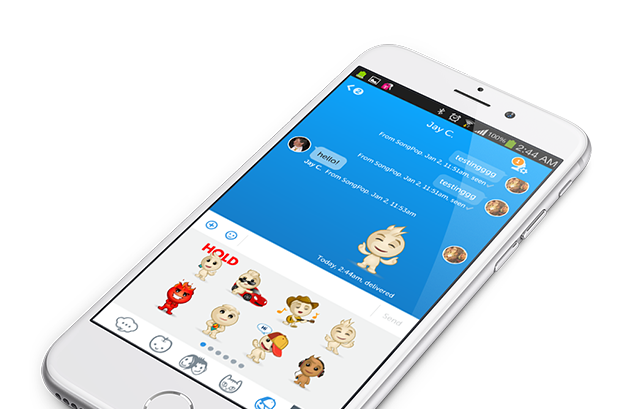 A chat app designed by FreshPlanet for which I created animated sticker packs. The retro inspired stickers needed to be entertaining while keeping the words visible enough on any mobile device. Looking back at them now, I would simplify some of the elements even further, but they are still entertaining to watch. Here are some of my favorites! HelloPop was a chat hub for all of FreshPlanet's titles. For this reason it featured stickers inspired by their games. These included SongPop's "dude", as I have come to call him. He was featured in many of SongPop's tutorials and interstitials. Below are some of my favorite situational/pop culture stickers.